32-year-old Virender Dhankar, a para-athlete who hails from Haryana, represented India in the Men's Javelin Throw at the 2016 Rio Paralympic Games. Virender was an army man and a top Kabaddi player. An accident in the year 2004 which took off his right leg changed his life and he started taking a keen interest in the para-games. 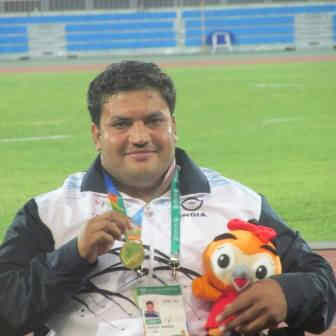 Virender has won a gold medal in the world army games in South Korea where he set a new record in 14.47 m shotput game. He has also won gold in power lifting championship held in 2006 and has ranked best in javelin throw and discus throw at the 2015 national championships.